Working medium: water, mineral oil, diesel fuel. Operating temperature: -60 to +170 ° C depending on the group of rubber. Operating pressure: up to 0,07 MPa (0.5 kgf/cm2). Shaft Speed: Up to 20 m / s.
You can search by the cup -type seal dimensions, then you will be provided with all possible options. 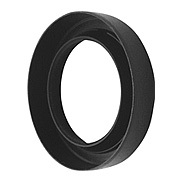 Enter cup -type seal dimensions, or part of its dimensions.